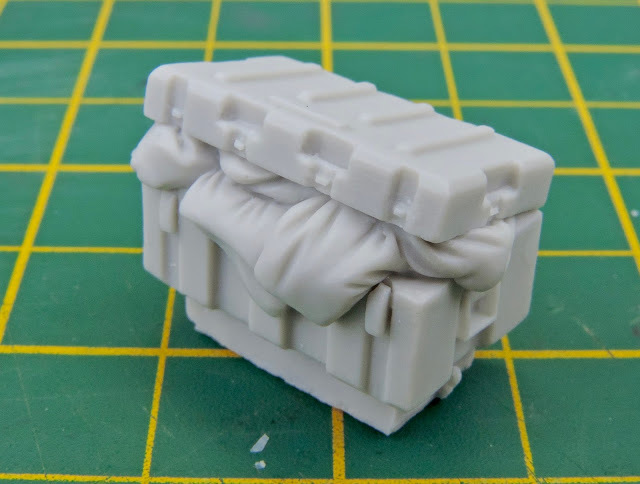 Today I am going to review some stowage and accessories very kindly sent to me by Paul from Red Zebra Models. As you maybe aware I used a set of Red Zebra 1/48th stowage on my Humber recently and was very impressed with the quality and cost of the resin parts. 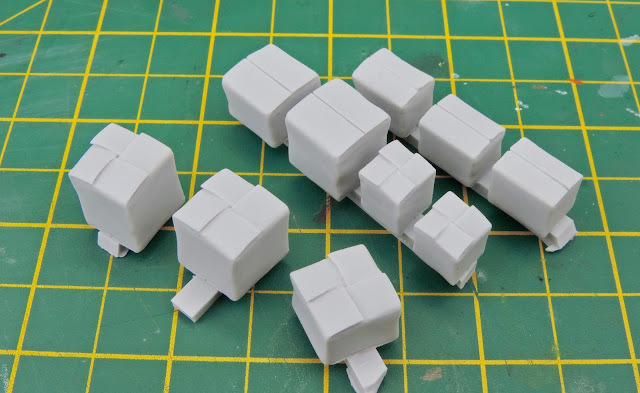 In fact they produce an excellent range of 1/48th stowage and sets for both modern and WW2 armour as well as some superb figure sets. 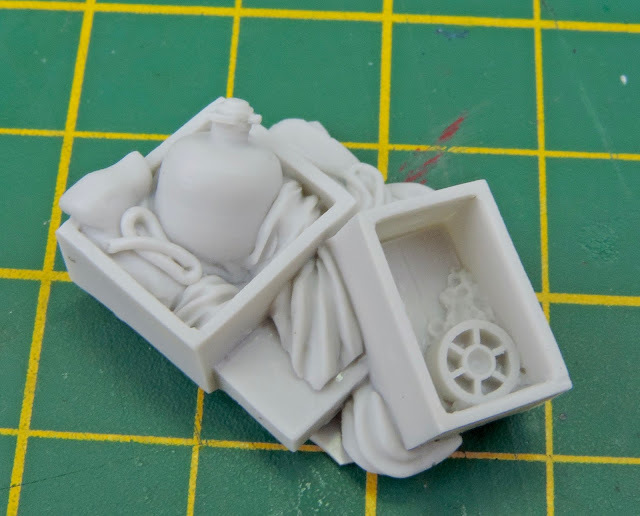 Paul is expanding his range all the time and is also making stowage in 1/35th, which is what I will be reviewing here. The first thing to note is the excellent quality of the castings being free from pin holes or blemishes they are cast in a lovely grey resin which really shows off the details in the parts. The first bag contains a set of cardboard boxes in various sizes which will be ideal for any period. 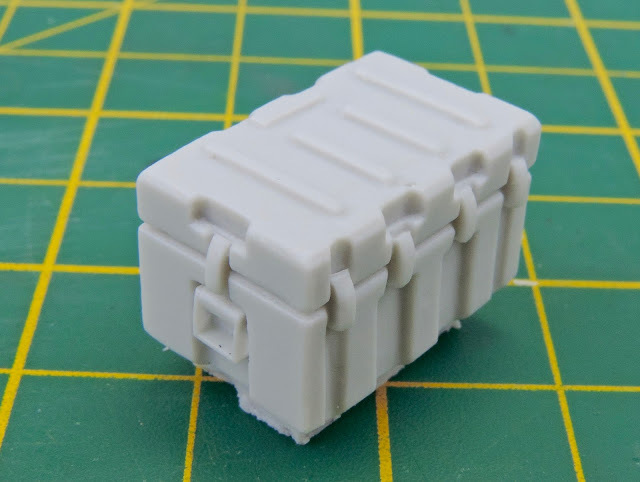 For me they will make excellent ration boxes which can be stowed on almost any vehicle or used in a diorama setting. The various sizes of box and different styles of lids is also a nice touch. Next we have a selection of tarps and sacks as well as two transit boxes and a folded mattress. 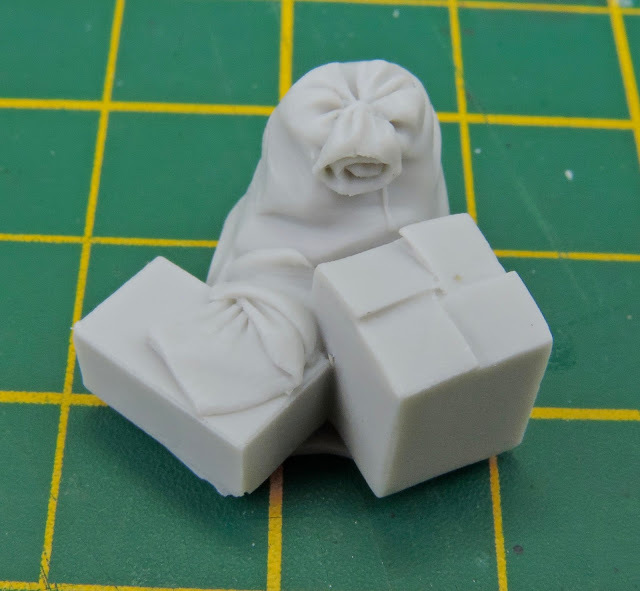 Again casting is perfect and the detail is extremely crisp. 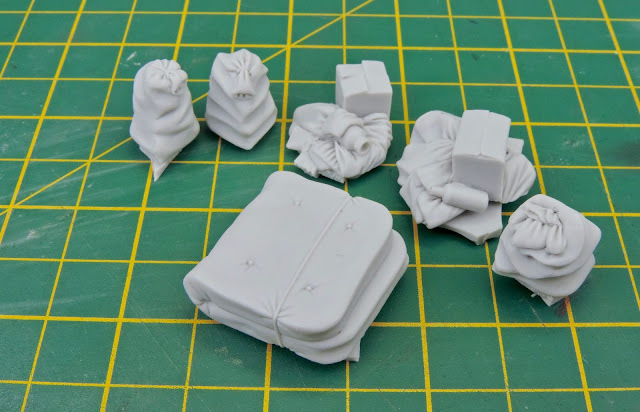 The tarps and sacks will be very handy when adding stowage to a vehicle and they come in different sizes and shapes. 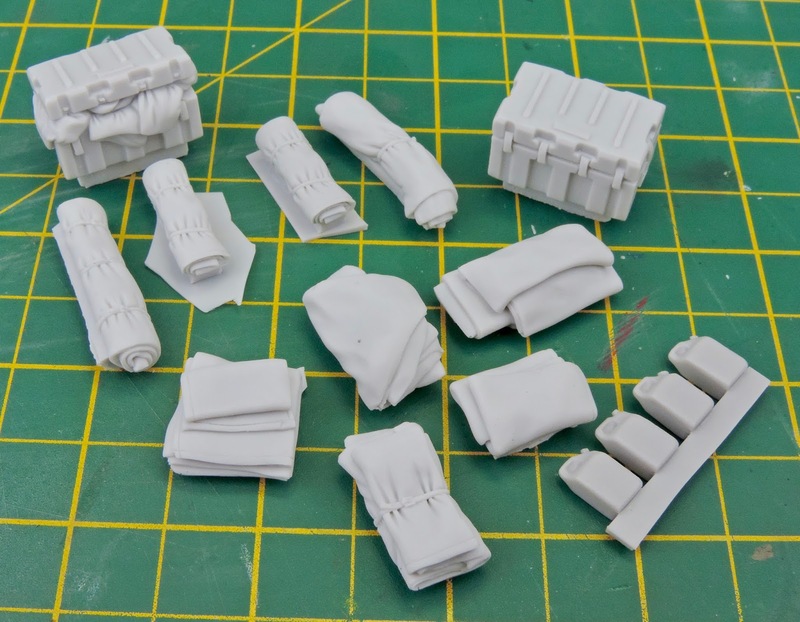 The transit boxes are a particular favourite for me as they are used by lots of armies around the world and would look good on the back of say a stryker. 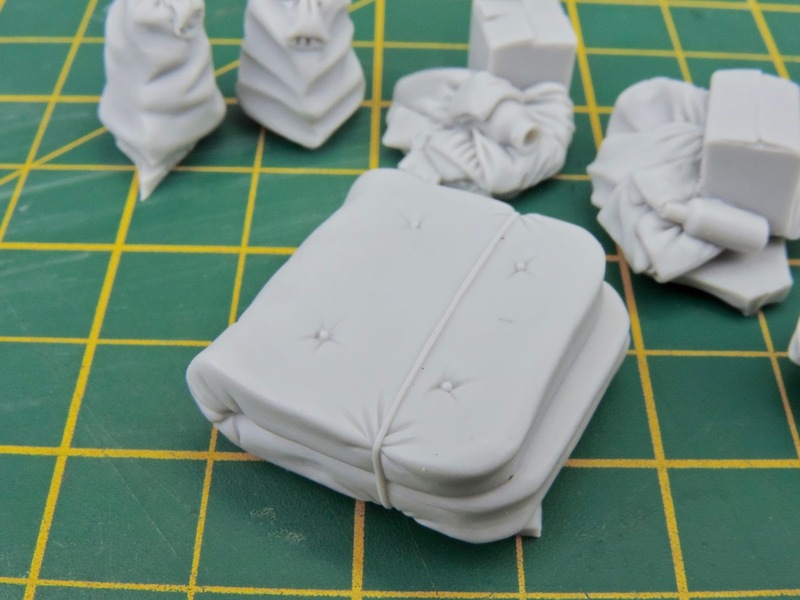 The mattress is a perfect addition to any diorama and again the casting is crisp and sharp. The next set is a selection of containers and foodstuffs which again are all very well cast. The containers and food have excellent definition and with careful painting would add a colourful touch to any diorama. They are listed on the website as north African rations but could be used for any area or period you choose. Finally we have a selection of stowage that will be ideal for truck beds and cargo areas of models. 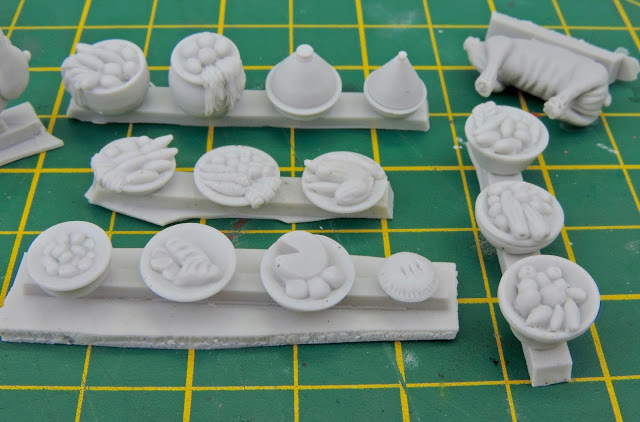 The casting is crisp and sharp and the mixture of items and the way they are grouped looks very realistic. The pallet comes with separate legs as well. 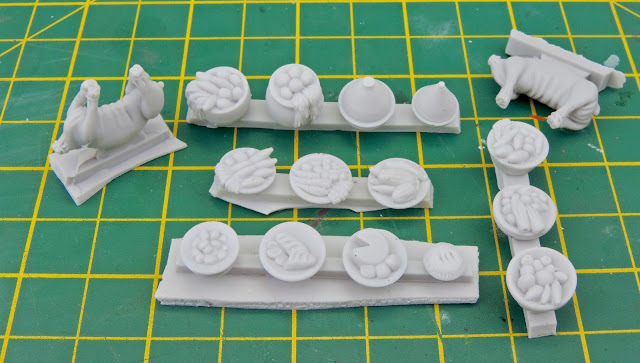 A very nice selection which can be used for any period you wish to model. 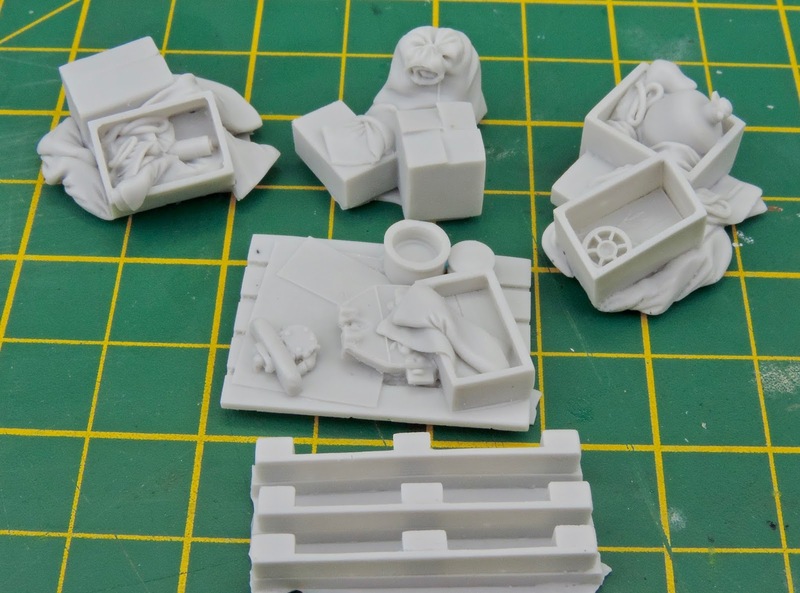 I am very impressed with what Red Zebra are producing and when you compare them with the likes of black dog or other resin sets available they are in my opinion better cast and crisper in detail.The fact that they are extremely good value and made here in the UK is also a big incentive for me to buy them, and recommend them to you. 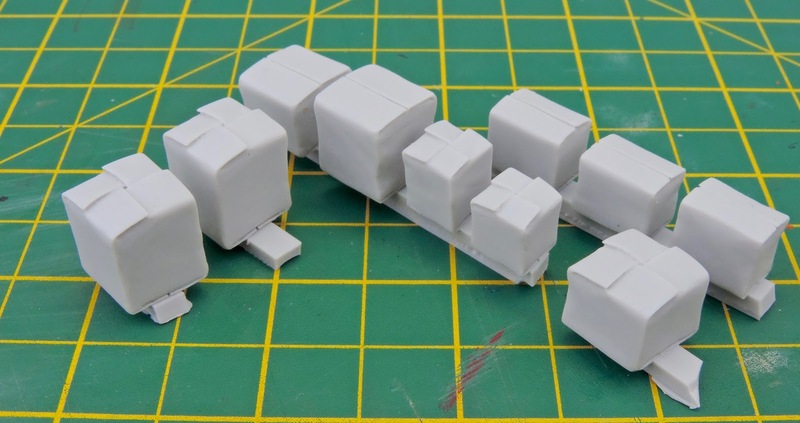 Paul also makes some nice sets of stowage for the Meng pickup trucks which look very handy for dressing up the model. Nice review Pete. Gonigh to ask for some of these as my birthday is approaching ! I have their Land Rover wheels and accessories and I'm very impressed with them - quick turn around too - highly recommended.